As You Like It is one of the coolest and quirkiest alternative wedding venues in Newcastle. I was working as a Registrar in Newcastle when it opened and it blew the whole wedding scene open in the city. Previously, you’d either get married in the Register Office, have a church ceremony or go out to Northumberland or Durham to get married in a country house. In Newcastle the last option were corporate wedding venues - hotels with conference rooms that could be used for wedding ceremonies. St James Park was popular, hiring out rooms that were used for corporate functions on other days. They were largely multifunction rooms with projector screens, chairs and tables stacked against the back wall, and random people walking around to get back to their hotel room or meeting. With a lot of effort, the rooms could be dressed well, but many of the hotels were part of big chains and the local managers had little say about what happened on the premises. 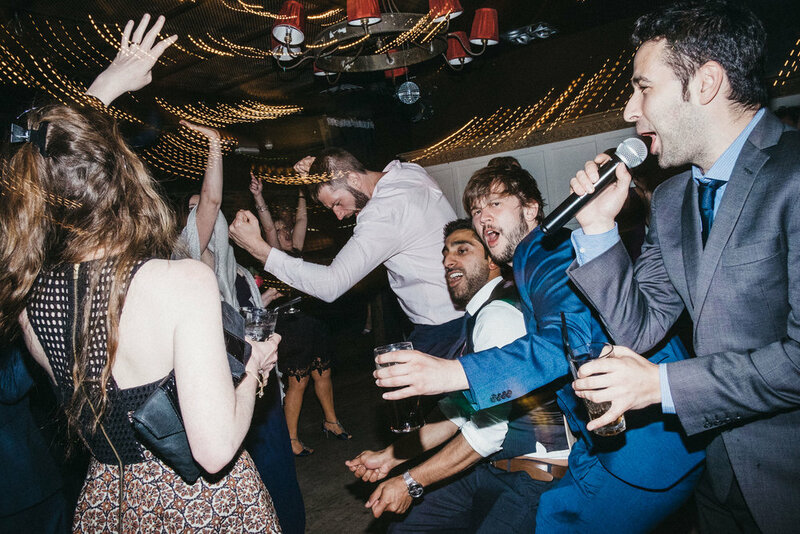 As You Like It was the first real alternative wedding venue in the city. I went there on the opening night to eat in the restaurant. They offered free food as a test of their catering facilities. I remember eating a dry dessert because they ran out of custard and cream. But I was impressed by just how different it was. As You Like It is situated in a brutalist 1960’s concrete office block. Inside the decor is all shabby chic, and mismatched furniture. The walls are exposed brickwork, and utilitarian pipework is on display. Now this hipster look is ubiquitous and perhaps overdone, but at the time it was fresh and innovative. It was voted the 7th sexiest restaurant in the world by the Observer in 2008. Mood lighting, and rich golds and reds in Frangipani. 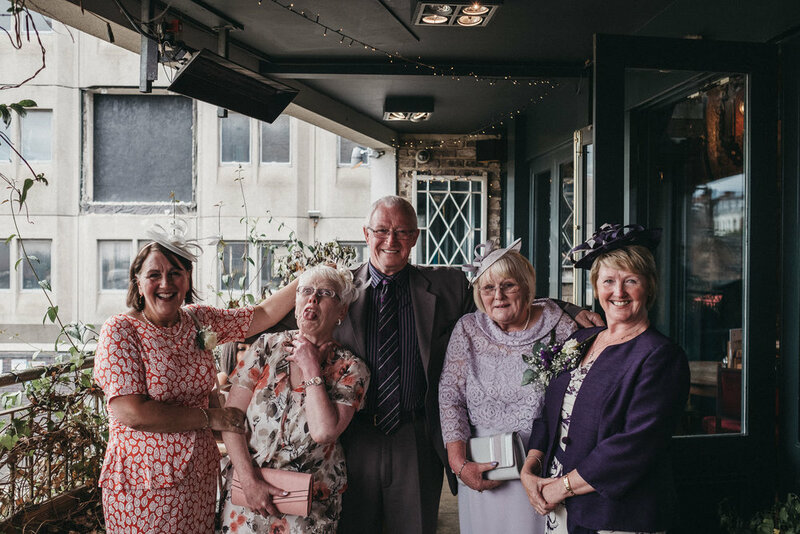 As You Like It quickly became one of the most popular wedding venues in Newcastle and I conducted at least one or two weddings there pretty much every week of the year. When I became a wedding photographer it was high on my list of must photograph wedding venues. As You Like It has a basement private function room for weddings called Frangipani. It is accessed via a narrow staircase on your left as you come through the main doors of the restaurant, or directly from the carpark at the rear. As You Like It staircase entry to Frangipani. Note the moody lighting. If you’re aiming for a more formal wedding with seated guests it can hold up to 120 people, or up to 200 people buffet style. The room is dark, with spotlights stabbing through the gloom and fairy lights creating a magical ambiance. Blossom trees climb the bare brick walls. The furniture is all shapes and sizes, in different styles from different periods, and all show heavy signs of wear. Twinkling fairy lights, blossom trees and exposed brickwork at As You Like It. There is a small bamboo garden outside which is popular with smokers and anyone wanting a breath of fresh air, but otherwise the venue is just one large room. I find that if you want the best party this is the best arrangement; at other wedding venues with lots of separate rooms the party can fizzle out as everyone goes their own way. Speaking of dance floor action, As You Like It has Jesmond’s only late licence, so you can keep partying until 2:00am. As You Like It has Jesmond's only late license allowing the party to go on well past midnight. One other thing I must mention is the staff at As You Like It. They are very experienced at delivering weddings now, and the whole day runs like clockwork. You’ll be in safe hands entrusting your wedding day to them. 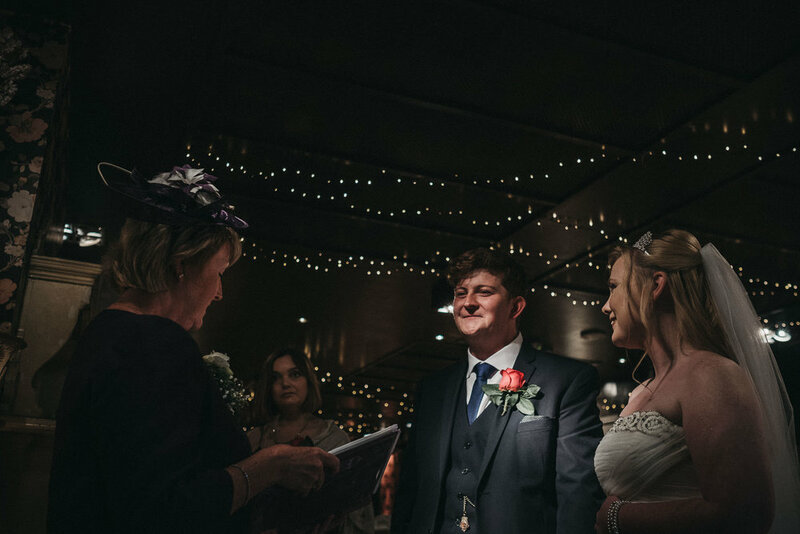 As You Like It was the cornerstone of the Apartment Group, and its success allowed them to open further wedding venues such as Newton Hall and Le Petit Château in Northumberland. There are no two ways around it: As You Like It is a tough wedding venue to photograph. Especially if you are a traditional wedding photographer. Frangipani is very dark, and this darkness is only broken by individual spotlights creating harsh pools of artificial light. The ceilings are low, and the decor is all a chaotic jumble, so picking out pleasing compositions can be tricky. The exterior is a traditional photographer’s worst nightmare. It is all harsh concrete office blocks and busy roads, with no greenery or gardens in sight. The exterior of As You Like It Newcastle wedding venue. As an alternative wedding photographer I enjoyed the challenge of photographing this unique venue and worked with the setting rather than against it. 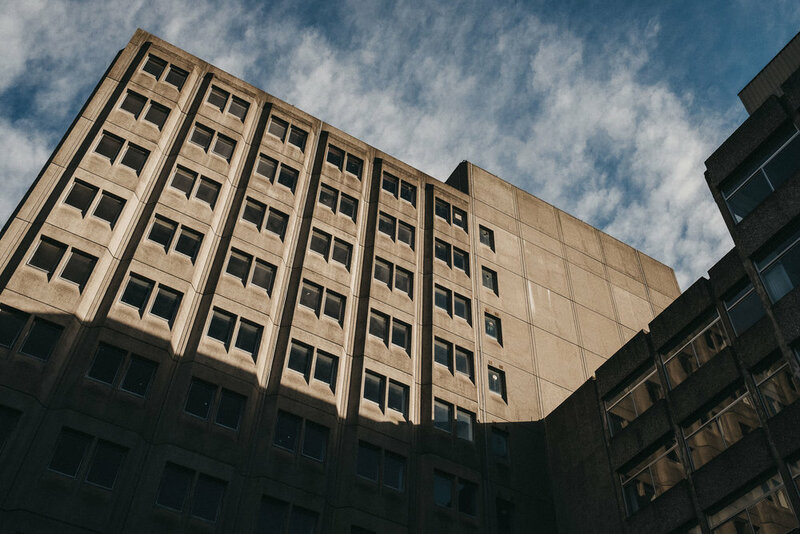 The brutalist architecture has its own rough beauty, and the interior has a dark and romantic mood that couples are obviously drawn to. There is a small roofed balcony area, which can be used for group shots, but it is packed with furniture. Using the quadrangle in amongst the office blocks might be a better option if the weather is dry. A small balcony area can be used for group shots. And if you really must take bride and groom portraits in nature, Jesmond Dene is a short drive away. The original cool, quirky, one of a kind alternative wedding venue in Newcastle. Frangipani looks amazing so you won’t need to do much styling to the venue. Situated in the heart of Newcastle, it’s easy for you and your guests to get to. Very friendly and experienced wedding co-ordinators. A wedding ceremony in full swing at As You Like It. No accommodation onsite - you and your guests will need to book rooms in nearby hotels. Although Frangipani is exclusive, the restaurant and bar upstairs will be used by regular punters on your wedding day. It gets really busy on weekends especially. It’s a marmite wedding venue - you’ll either love it or hate it! 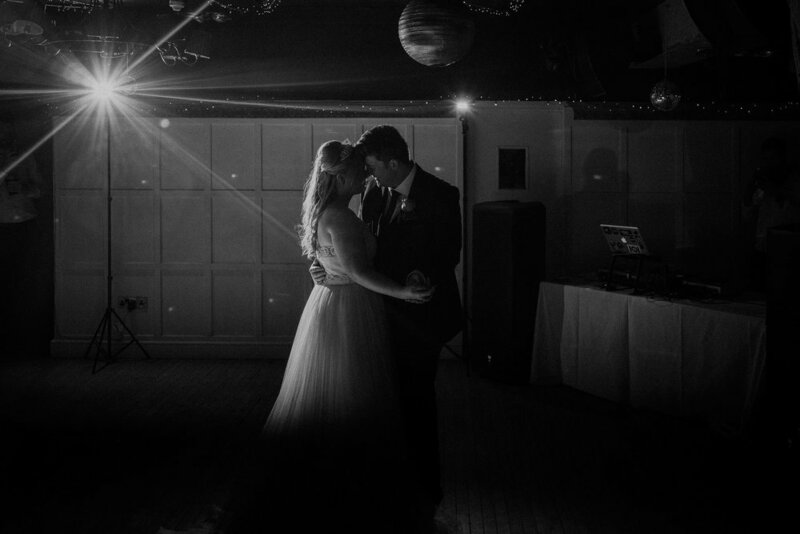 A dark room with harsh pools of light can feel romantic but makes a wedding photographer’s job very tough! First dance at As You Like It. To read more of my wedding venue reviews, and some real weddings, check out my Newcastle weddings page.